Williams Sport Horses - Marcus' Pens! Shredded Money Pen! 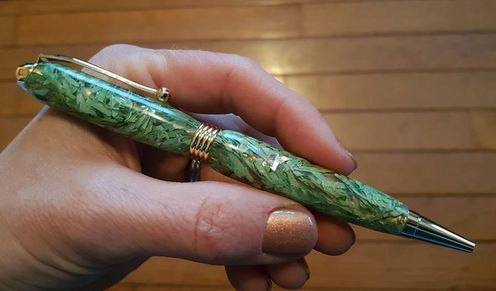 This pen is made from shredded $20s. Shredded money purchased legally from Bank of Canada. Great gift for accountants, financial planners, bankers or anyone with an interest in cash!! Style; Streamline, round top, gold. $75 Canadian plus shipping if required. Golf Tee Pen! This pen is made with golf tees in resin. Fantastic gift for a golf enthusiast. Style; Stream line, round top, chrome. $75 Canadian plus shipping if required. 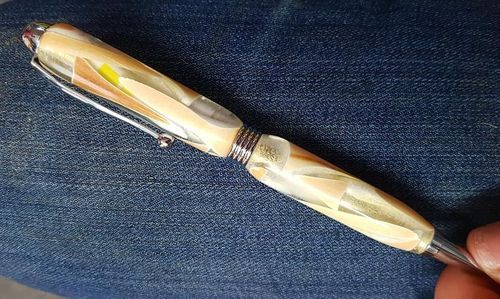 Wood Shavings Pen! 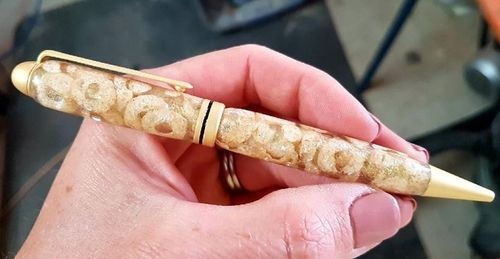 This pen is made from wood shavings and makes a gorgeous gift for anyone, particularly a carpenter or horse enthusiast. Style; European round top (black band in middle), satin, gold. $75 Canadian plus shipping if required. Cheerios Pen! This pen is made from cheerio cereal! Great for a cheerios enthusiast ;) Style: European Round top, satin, gold. $75 Canadian plus shipping if required. Pencil Crayon Pen! This pen is made from cut pieces of pencil crayons. Great gift for an artist, or teacher. Style; Streamline, round top, gold. $75 Canadian plus shipping if required. 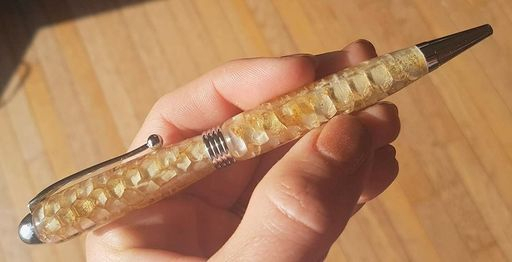 Honey Comb Pen! 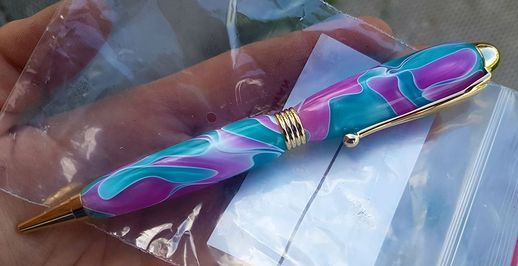 This one is one tricky pen to make! It takes a ton of time to make, as it easily chips out and needs to be filled and re-turned. Extremely limited availability, it depends on the time of year and availability of comb that is used from Marcus' bee hives. Style; Round top, streamline, chrome. Great gift for bee keepers $150 Canadian plus shipping if required. Lego Pen! This pen is made from lego pieces, perfect for the big kids out there! Style; Streamline, round top, chrome. $75 Canadian plus shipping if required. Colour; Bumble bee Style; Streamline, flat top, gold. $50 Canadian plus shipping if required. Colour; Cotton Candy. Style; Stream line, round top, gold. $50 Canadian plus shipping if required. Colour: Blue sky. Style; Cigar pen (thicker), chrome. $50 Canadian plus shipping if required. Colour; Zebra wood. Style; European round top, satin, chrome. $50 Canadian plus shipping if required. Colour; Pink ivory. Style; Streamline, flat top, gold. $50 Canadian plus shipping if required. Colour; Torrified Maple. Style; Sierra button click. $50 Canadian plus shipping if required. Colour; Birds Eye Maple. Style; Cigar pen, gold, matte. $50 Canadian plus shipping if required. Colour; Purple Heart. Style; Streamline, flat top, gold. $50 Canadian plus shipping if required. Colour; Torrified Maple. 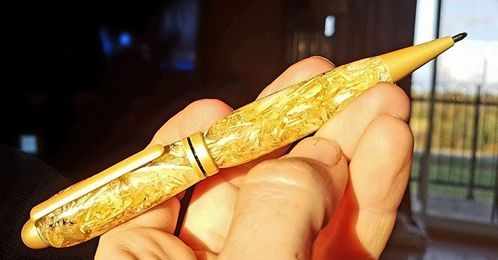 Style; Cigar pen, gold. $50 Canadian plus shipping if required.